Gamestop's Nintendo Switch preorder list shows Wheel of Fortune and Jeopardy coming on 10/30 as a $40 set. Obviously wait until it goes on discount, where you can get it for half that. Also. Jackbox Party Pack 5 is available on all major systems, and includes a brand new version of YDKJ. Switch port of Wheel of Fortune is really bad. There's tons of missing sound effects (like the "puzzle win", speed-up music, and even the freakin' letter dings), and the framerate can barely hold up, even when you're not docked at 1080p. Online play has been more chill than Xbox (expected), otherwise, it's the same Season 34 rules with no changes. Didn't have a chance to play Jeopardy!, but I expect no changes. The other evening, I saw at my local Family Dollar store, Family Feud "boxed game." This was Cardinal's cube-shaped box game, much smaller, and containing very little, for only one dollar! When they say on the box that it includes 24 cards, it breaks down into eighteen survey question cards (w/one question on each), six red "X," cards and six blue "X," cards. There is one additional card, describing the rules of the game. Family Dollar and Dollar Tree stores and owned by the same company. Dollar Tree sells the Strikeout card game from Endless Games for only $1! EG's game contains 47 question cards (two questions on each card), and similar "X," cards, plus instructions. EG's version is more worth it, and plays the same! I've often wondered, why EG hasn't released a second edition "Strikeout" card game. It's been in stores in the same form (same questions), since 2011! Is the content as dreadful as past Endless products have been? Well, the content IS selected questions from the "Strikeout Card Game," from EG, only manufactured by Cardinal Industries. 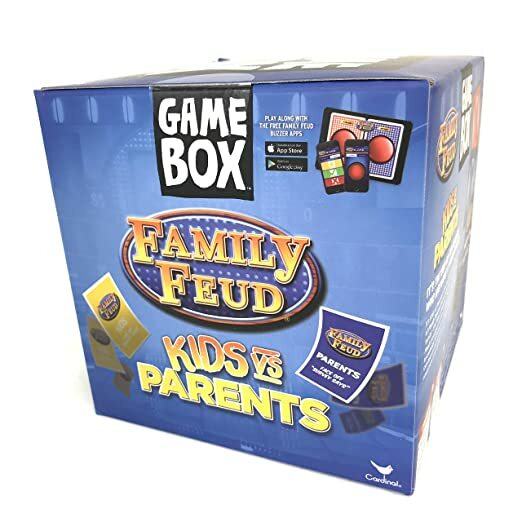 BTW, today at my local Dollar Tree store, they had similar "Boxed Game" versions of Family Feud, only in slightly smaller boxes than the one I saw recently at Family Dollar. This time they had BOTH the regular version, and the Disney themed version. Like the Family Dollar version, these sold for one dollar each, and each box contained 57 cards instead of only 24. 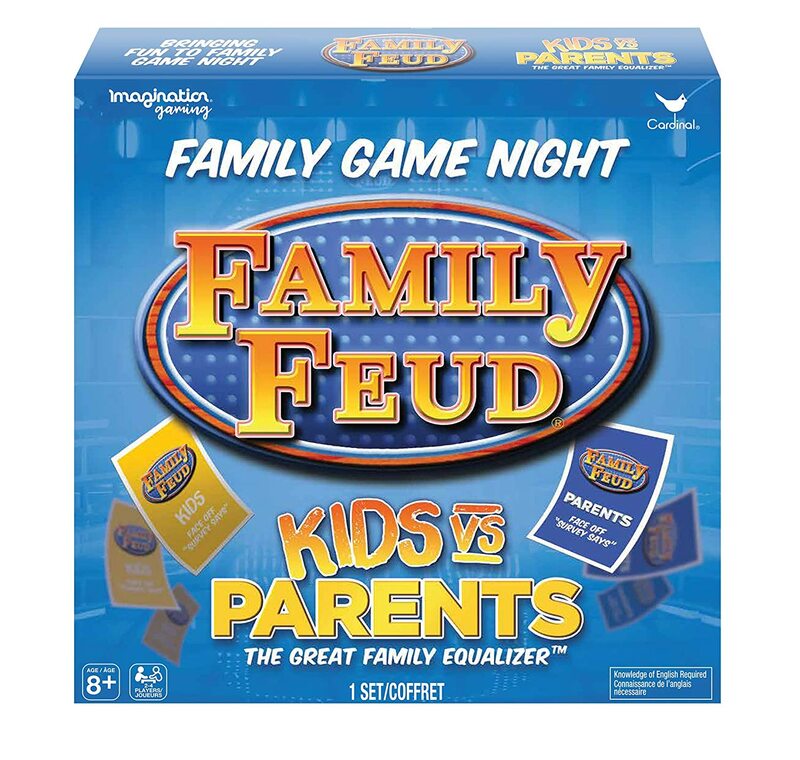 Yesterday evening, I saw the "Kids vs. Parents" Family Feud game in the "Game Box" size version for only $5 at my local Five Below store. According to the description on the outside of the box, this version apparently has "Fast Money," round material. It read that just two "Face Off," rounds are played, and then "Fast Money." It surprises me if it's true that "Fast Money,' questions are included because the cards from the "Game Box" versions are much smaller and would seem to require material to printed much smaller. Just a heads up that a patch released yesterday for Switch fixed just about all these issues. This glitch happens on many spots, we notice it less when a dollar value is offered over the actual value hit. You probably all notice, the flipper has a strange motion too whenever this glitch occurs. It certainly is frustrating, not a great release in my opinion, a lazy platform release. Ikea has a fun stand-up wheel for $20 that could be adapted for a number of uses. Link I'm planning to pick up one this weekend when we are visiting an Ikea for other reasons. when we are visiting an Ikea for other reasons. It shows both regular and junior versions of both games! Their new catalog does NOT list any Family Feud products.